Tolkien's famous translations and lectures on the story of two fifth-century heroes in northern Europe. Professor J.R.R.Tolkien is most widely known as the author of The Hobbit and The Lord of the Rings, but he was also a distinguished scholar in the field of Mediaeval English language and literature. His most significant contribution to Anglo-Saxon studies is to be found in his lectures on Finn and Hengest (pronounced Hen-jist), two fifth-century heroes in northern Europe. The story is told in two Old English poems, Beowulf and The Fights at Finnesburg, but told so obscurely and allusively that its interpretation had been a matter of controversy for over 100 years. Bringing his unique combination of philological erudition and poetic imagination to the task, however, Tolkien revealed a classic tragedy of divided loyalties, of vengeance, blood and death. 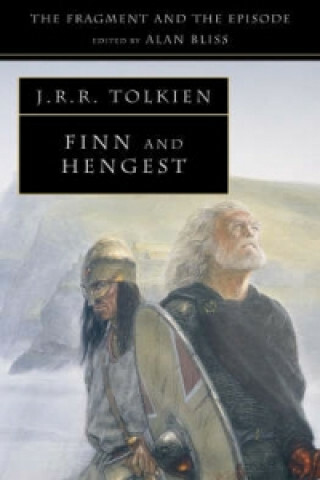 Tolkien's original and persuasive solution of the many problems raised by the story ranged widely through the early history and legend of the Germanic peoples. The story has the added attraction that it describes the events immediately preceding the first Germanic invasion of Britain which was led by Hengest himself. This book will be of interest not only to students of Old English and all those interested in the history of northern Europe and Anglo-Saxon England, but also admirers of The Lord of the Rings who will be fascinated to see how Tolkien handled a story which he did not invent.